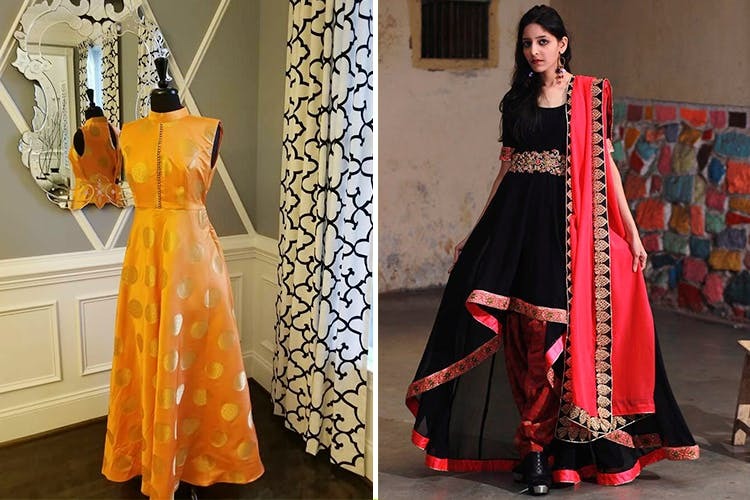 For the next wedding, wear a customized lehenga or anarkali from this quaint little boutique in Vishrantwadi which makes insta-worthy outfits without putting a hole in your pocket. Simpli Versatile in Vishrantwadi comes highly recommended from the many customers who flock to this boutique for their dose of designer-wear. This is a one-stop destination which creates a range of dresses from simple blouses to traditional anarkalis to contemporary lehengas.Owned by Archana and Amit, Simpli Versatile, has talented tailors who design clothes from scratch for those of you who want to set a style-statement. They are well-known for their professionalism and for giving a perfect finishing touch to the dresses, which are no less than that of a celebrity designer's.What we love the most is that the blouses and anarkalis always come well-fitted and require minimal to zero alterations. A simple blouse will cost you around INR 750 upwards. Lehengas and anarkalis will cost you around INR 2,000 and will vary according to the design and style. It usually takes 8-10 days to complete your order but during weddings and festivals, it’s better to plan ahead.